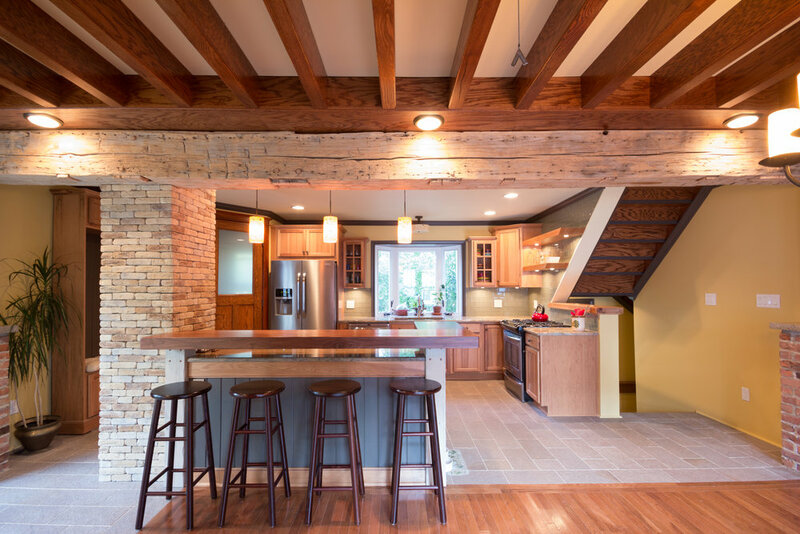 Founded in 2008 by visionary designer, artist, and builder Ricardo Rivera and his wife Jyl, Buffalo Treehouse has developed a track record of producing award-winning work that is defined by an unmatched level of detail, creativity, and craftsmanship. 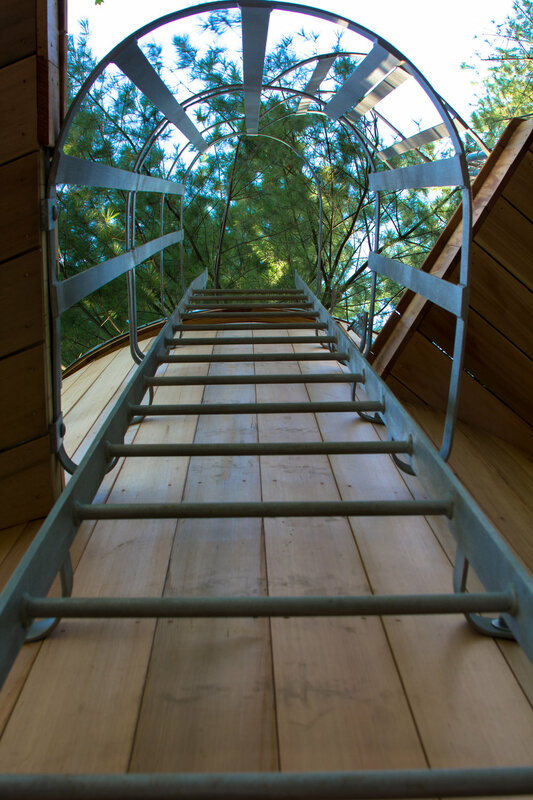 We invite you to explore our website to learn more about Buffalo Treehouse and the pride we take in producing one-of-a-kind structures, objects, and spaces that are truly awe-inspiring. Our residential Portfolio runs the gamut stylistically—from historic to modern, rustic to futuristic, and straightforward to ornate. 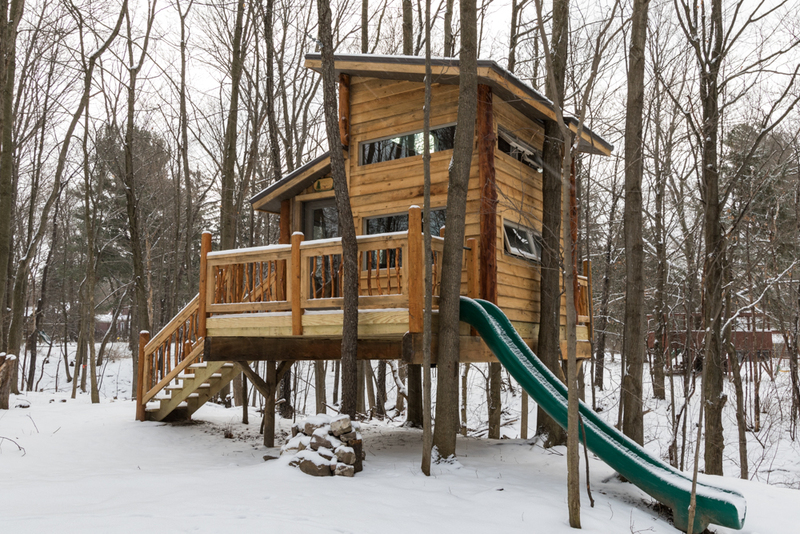 It should be noted that our treehouses are not just for the young, but also for the young at heart. 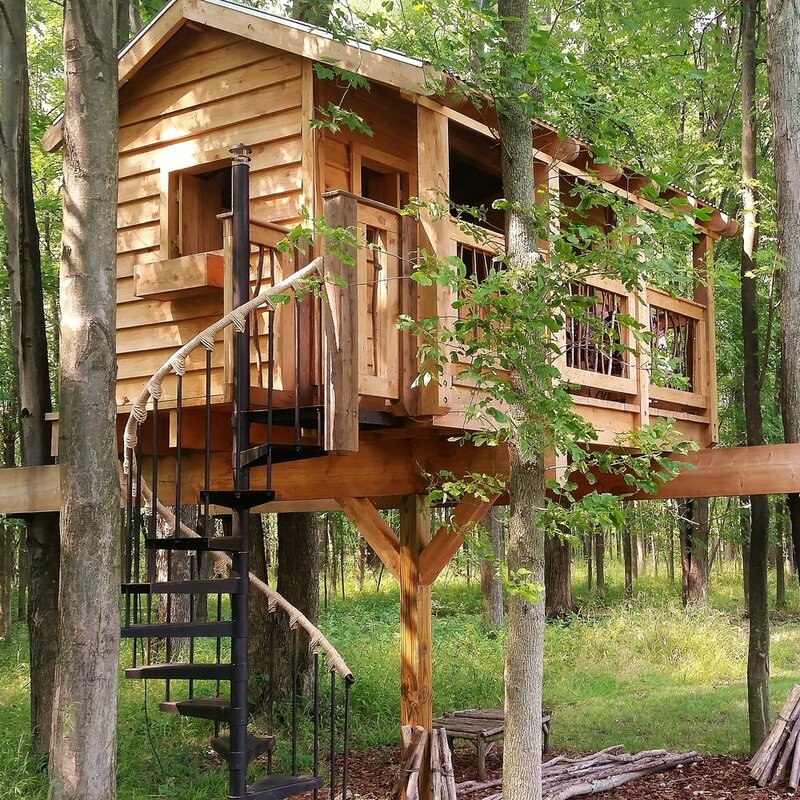 While we certainly can—and do—create treehouses that cater to children, we also specialize in building spaces that can be enjoyed by the young and old alike. Check out our Facebook to learn more. 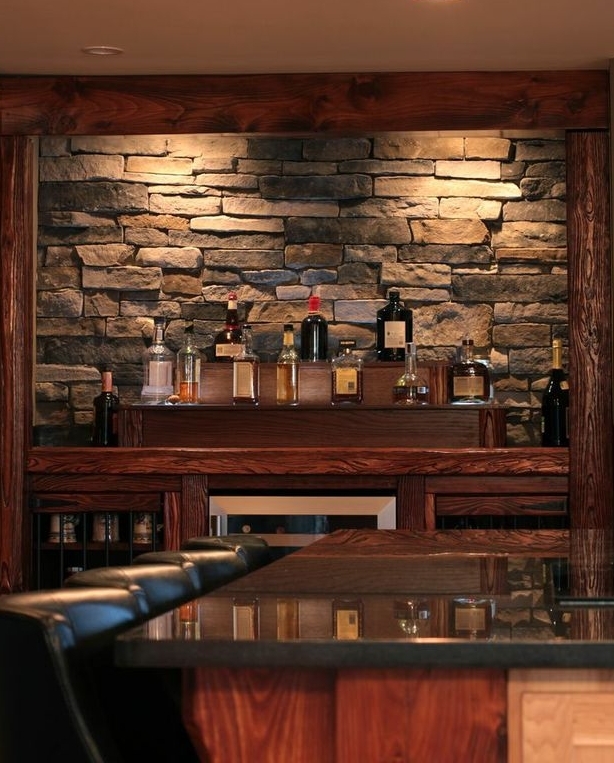 Our unique approach to design, coupled with our high-quality craftsmanship and natural building techniques lends itself to many different applications in the commercial sector. 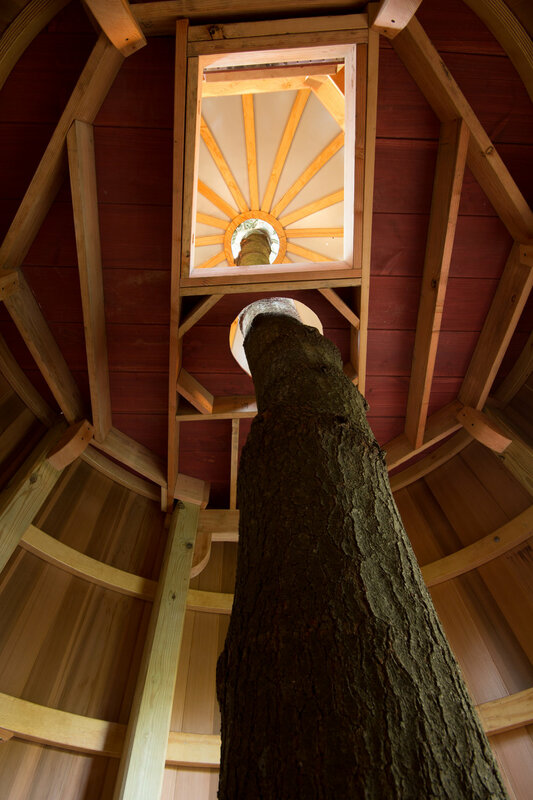 Whether you’re looking for a multi-generational treehouse attraction to install on your grounds, custom interior design work, or outdoor hardscapes, we have something to fit your need. 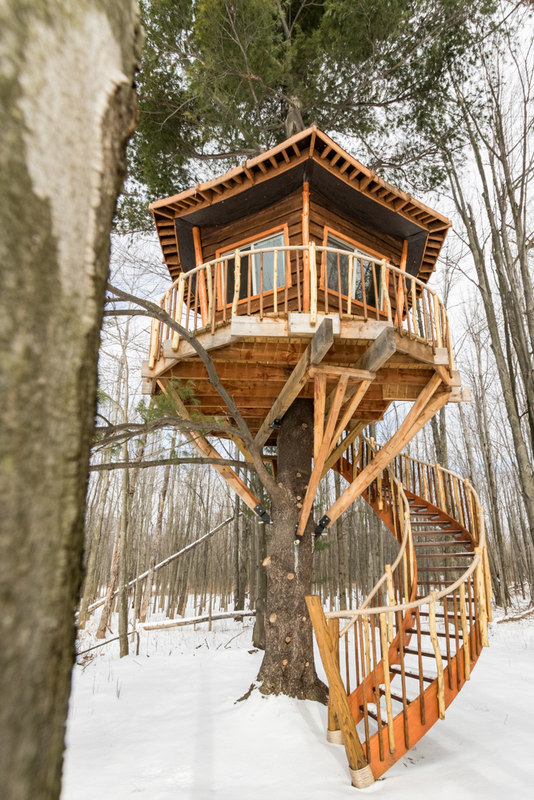 We are a professional architectural firm capable of providing clients with stamped drawings, and specialize in designing safe and awe-inspiring treehouses and related pieces of “arbortecture” that stand the test of time. We collaborate with engineers and building officials to ensure that your luxury treehouse, pergola, kitchen design, etc. meets the highest standards of quality and safety. Our design services are typically paired with our build services, but can also be contracted independently. See our FAQ section to learn more. 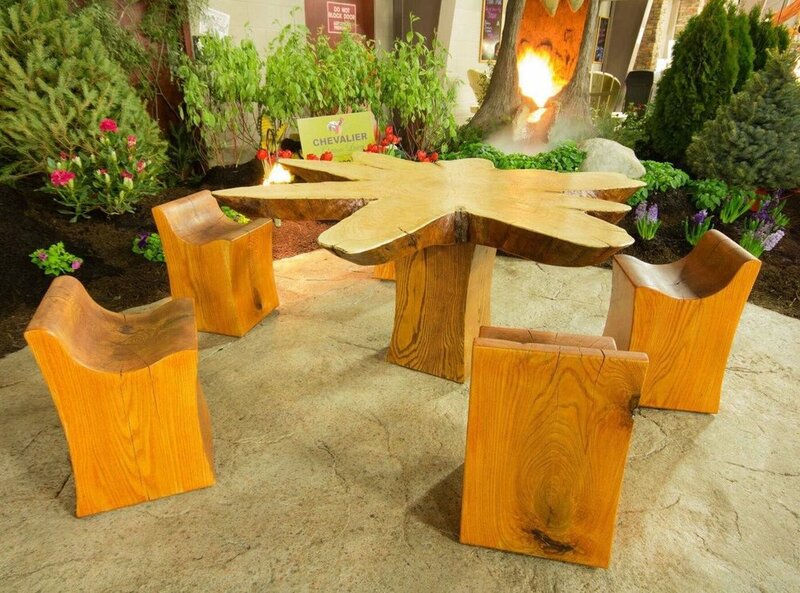 Whether you are looking to compliment a larger project Buffalo Treehouse has undertaken, or just want that special something to make your property stand out, we work with select clients to create sculptures, custom furniture, and other unique pieces of functional art that are simultaneously backyard and gallery-ready. 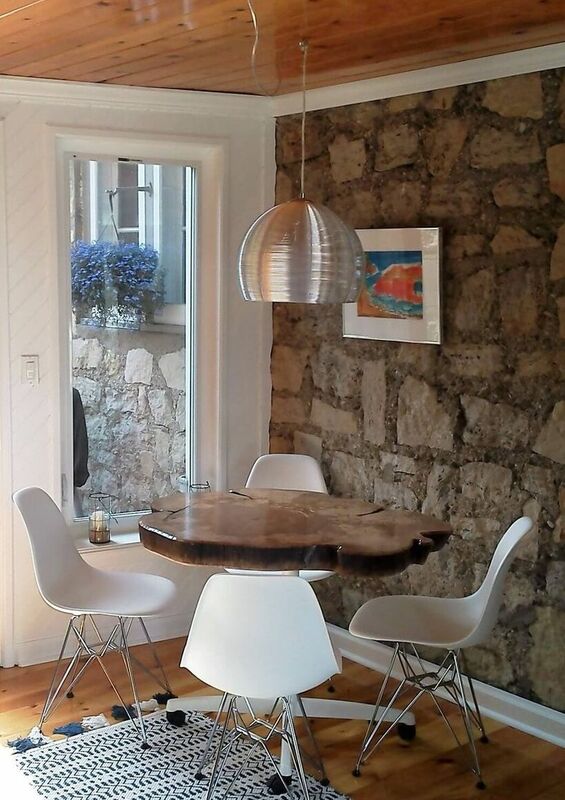 While we typically reserve art commissions for clients that have engaged Buffalo Treehouse for other purposes, we encourage you to Contact Us if you have a specific project in mind. The inspiration behind this project was the discovery of a silo ladder being sold online that dictated the rest of the build. After explaining our desire to build a silo around the tree because the tree was not strong enough to support the load of a structure, the client revealed to us that as a child he worked on maintaining silos with his father. Truly serendipitous! 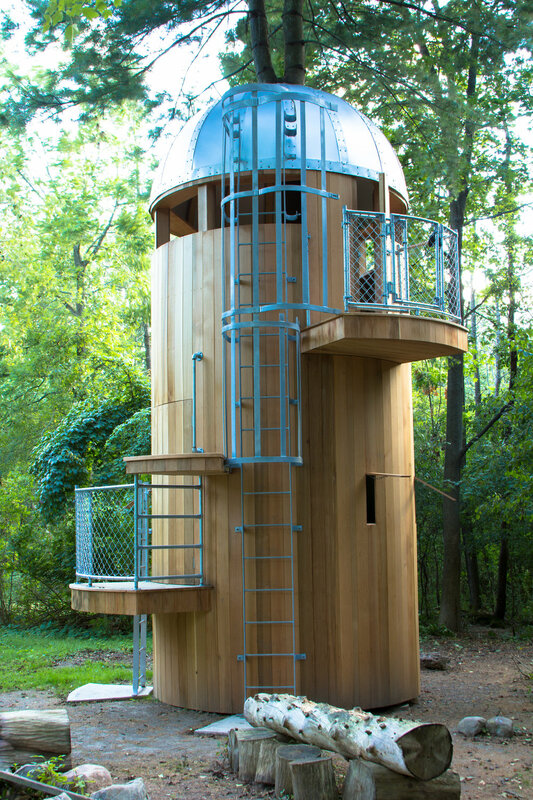 Features - salvaged silo ladder, two-story play space, 5-tree zip line course, secret archer windows and hideout. Height: 22' tall, 6' off the ground in front, 60' off the ground in the rear. Features: 8' slide, upper sleeping loft, family living room, rear lookout 60' down to a ravine. 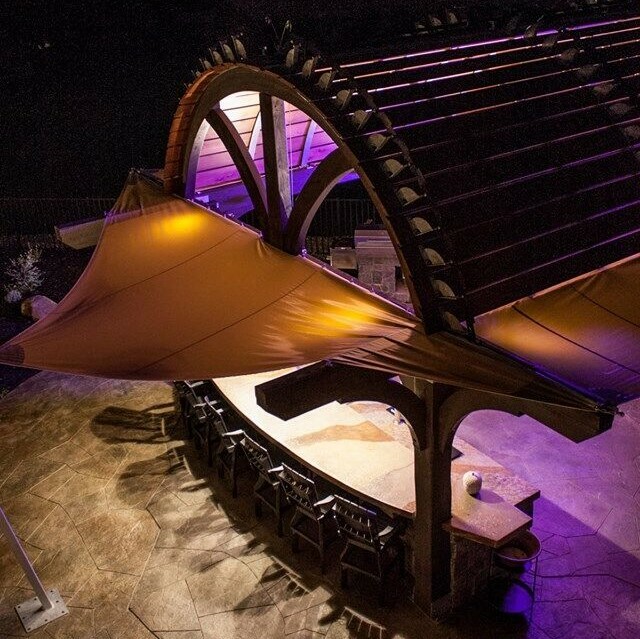 Inspired by a wine barrel, this pergola was built for clients who own a vineyard in Dunkirk, NY. The objective was to create a shaded structure that when desired can be opened to allow natural light to enter the outdoor kitchen. The main frame is made of 8x8 treated posts and 6x12x26' treated beams. It features a louver roof that is actuated by an 1897 fruit press that when cranked rotates a 60:1 gear reducer that winds cables which pull the louvers up to desired position. The louvers are supported by 1/2 x 4" steel bands that have 210 hinges welded and attached to the 20' cedar boards that make up the roof canopy. 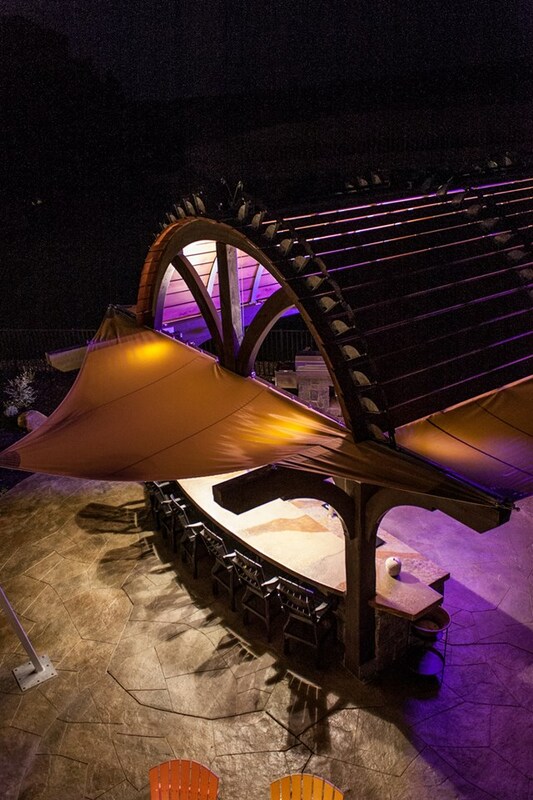 When closed the pergola ceiling resembles the inside of a wine barrel. When viewed from above, the cloths resemble the shape of a grape leaf. Here at Buffalo Treehouse our business is art. Outside of our general projects, clients have also commissioned artwork. 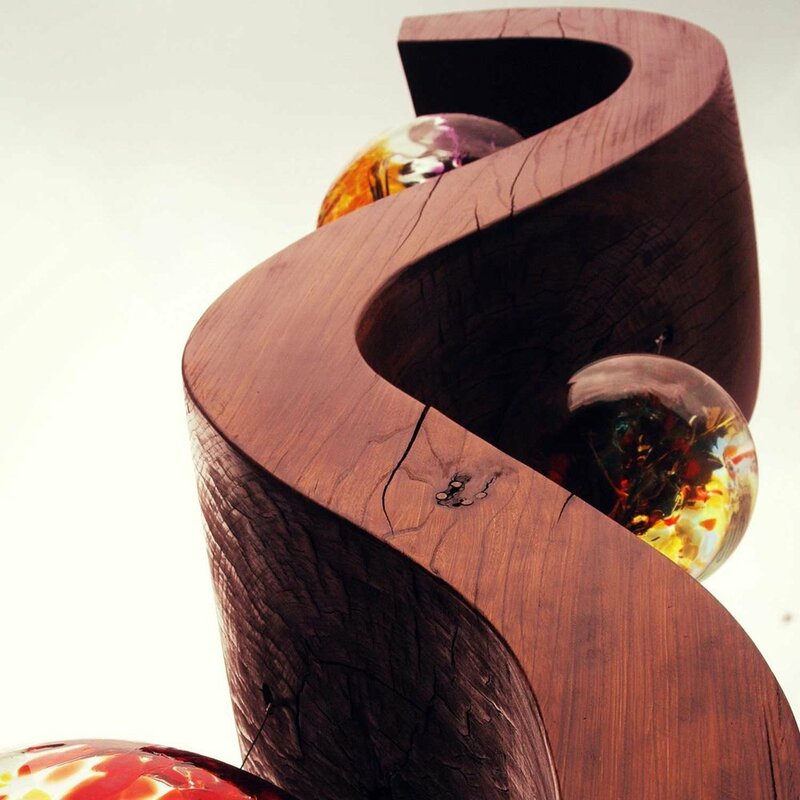 Anything from sculptures, paintings, photography and the abstract. Our creative process is fluid, and we're always open to breaking new ground. Whether you're looking for something that is understated or bold, whimsical or traditional, we have the skill-set and design acumen to meet almost any need. Design is our passion. We have been designing interior spaces for over a decade and desire to create spaces that grab hold of you and never seem to let go. Kitchens are often times the heart of a home and need to be carefully thought out in design to accommodate family and friends. 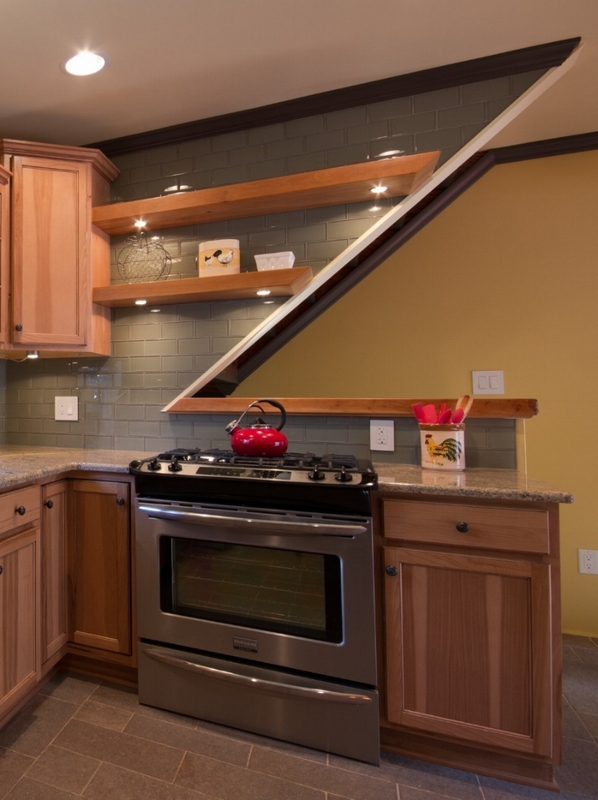 Whether you are an aspiring chef or a family on the go we can design in tune for both.